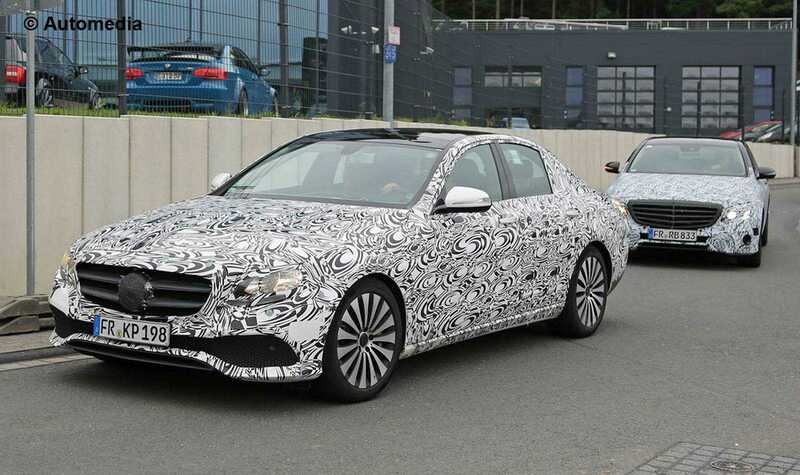 As soon as the media had its first opportunity to peek into the 2017 Mercedes Benz E-Class, everyone, including users and critics concluded that it borrows a lot of design elements from the S-Class and the C-Class. While it is common for people to arrive at a conclusion by going through a couple of pictures, it is obvious that many of them missed some of the miniscule yet important changes that Mercedes made in their new car. If they were not so confident of their design elements, the team would have never come up with the idea to reveal the interiors first before showcasing the exterior design of the car. Instead of hyping about the changes or explaining the process through which they made an S-Class look so exquisite on the inside, the team decided to leave it to the arduous consumers to sort it out. It’s a clever marketing strategy for sure because some have already identified that it has way more personality than the S-Class or C-Class cars besides being distinct in its own style. The placement of the center console and the use of analog controls are great examples. With their 2017 E-Class, Mercedes Benz was conscious of not going completely digital so as to appease buyers of all age groups. They have used the right amount of digital controls and analog buttons to balance this aspect. The center console is huge which makes it readily accessible and for the convenience of the driver, it has been slightly tilted towards his side. While this might sound trivial, it is a much needed aspect so as to allow the driver to make changes to the music being played or to control the temperature without losing focus on the road. A safety measure that has been subtly included with a slight curve. The four air vents represent the design used in the Mercedes-Benz S-Class, but they are tightly packed together with hardly any space between them. It ensures even air flow and allows the motors to operate only when necessary than running continuously to fill those gaps. The clock has been shifted to sit with the air conditioning unit controls while the Command controller is at the very bottom. It includes a storage compartment, infotainment system, climate control and a touchpad. The controls are neatly stacked and have enough space in between so that the users don’t accidentally touch when they don’t intend to. On the whole, the 2017 Mercedes Benz E-Class has had a promising start with a familiar yet distinct interior design.